Sergej Bondar started working at PROSTEP in 2002, first as a student trainee and then since 2005 as a permanent member of staff. During this time, he has been a member of Opel's Data Management Team and has been involved in the operation and customizing of OpenDXM at BMW, among other things. 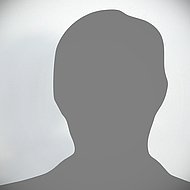 Today he heads up the OpenDESC.com team and is responsible for CAD conversion and data transfer in the automotive sector. Sergej Bondar was born in 1974 in the Kazakh Soviet Socialist Republic and moved to Germany in 1994. He earned a degree in information technology at Darmstadt University of Applied Sciences. The enthusiastic hiker and skier is married and has three children. 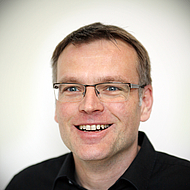 Dr. Rainer Bugow has been head of technology at PROSTEP AG for 15 years and is responsible for service and product-related business operations. Prior to this, he was responsible for product management and was managing director of PROSTEP's subsidiary GIDA in Berlin. Rainer Bugow was born in 1959 in Diepholz, Germany, and grew up in Sulingen. He studied mechanical engineering at Clausthal Technical University, where he also earned his doctorate. His hobbies are hiking, running, biking and motorcycling. His favorite book is the bestselling Zurück an die Arbeit, a book about how a great many companies need to "get back to business". Rainer Bugow is married and the father of two grown children. "IT security is very important to our major customers"
Joachim Christ was born in 1963 and has been head of marketing at PROSTEP AG for almost 20 years. This makes him an "old hand" in the field of PLM marketing in Germany. He was born and grew up in Saarbrücken, Germany, and earned a degree in industrial engineering at Saarland University of Applied Sciences. Today he lives with his wife and son near Darmstadt. Joachim Christ enjoys spending his free time outdoors together with his family. His favorite hobbies are jogging and hiking. 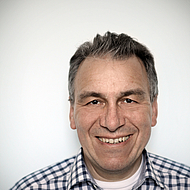 Bernd Döbel has been involved with the topic PLM for over 20 years and has passed a number of different PLM-related milestones. The positions he has held, from design engineer (using CATIA V2 and V3) to consultant and technical manager at a systems house through to sales (for PROSTEP as from 2002), provide for a colorful bouquet of experience. Born in Frankfurt, Germany, the father of one daughter has lived in the Darmstadt/Dieburg district for more than 15 years. In addition to motorcycling and HiFi, his hobbies include numerous sporting activities such as running and aerobics. 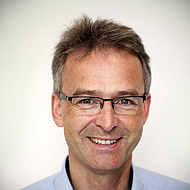 Hartwig Dümler (born 1969) has been working as a PLM consultant at PROSTEP's Cologne subsidiary since 2010. Among other things, he helps customers create CAD models in a way that ensures that they are very flexible and can be used as best possible for associated tasks such as CAE calculation. Dümler was born in Koblenz, grew up in Westerwald and studied mechanical engineering at the University of Kaiserslautern. In his spare time, the married father of two likes to ride his mountain or racing bike or go snowboarding. He also enjoys watching movies, e.g. those from the Coen brothers, and listening to hard rock and heavy metal. 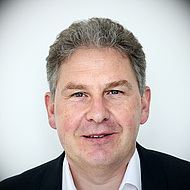 Dr. Matthias Grau (born 1965) has been working for PROSTEP since 2003 and is currently key account manager for the shipbuilding industry and head of the Hamburg subsidiary. Prior to this he gained experience in other industries such as the aerospace and automotive industries as PLM Processes & Methods manager. Grau sees himself as an intermediary between specialist departments and IT experts, who has the ability to make complex matters easy for laypeople to understand. Born in Halle an der Saale and raised in Mecklenburg, he studied naval architecture at the University of Rostock before earning his doctorate in the field of offshore structural engineering at RWTH University in Aachen. Grau is married, has three children and enjoys outdoor sports such as backcountry skiing and canoeing. 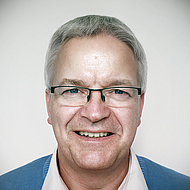 Udo Hering is the head of product management at PROSTEP with overall responsibility for all PROSTEP software products. After studying engineering with specialization in manufacturing methods he worked for several years in the CAD-CAM environment as an application engineer, consultant and in the sales area. Since 1996 he has worked for PROSTEP and assumed several executive functions during this time. Initially he worked in the area of neutral CAD interfaces in the project business, before taking over the leadership of the division for data exchange solutions. In his current area of responsibility, first as a product manager for one software product from PROSTEP, he is now responsible for the whole PROSTEP product portfolio and plans the future direction of PROSTEP product family. 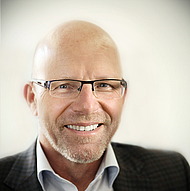 Dr. Martin Holland, who was born in 1961, was head of sales at PROSTEP from 2001 to 2015. Today, as a member of the management board, he is responsible for strategy and business development at PROSTEP AG. It is in this capacity that he is driving forward the topics Industry 4.0 and IoT in particular. Martin Holland studied mechanical engineering at Clausthal Technical University, where he also earned his doctorate. He joined PROSTEP in 1994 and over the years has held a number of different positions. 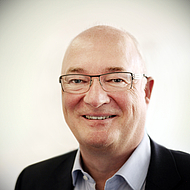 He has provided advice to well-known customers such as Airbus, Continental, Eurofighter GmbH, Meyerwerft, Phoenix, Volkswagen and Wabco within the framework of a variety of projects. 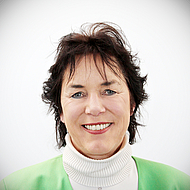 Gaby Kath, born 1960, manages PROSTEP's branch office in Stuttgart and, as a key account manager, provides Daimler with both sales and project implementation support. Gaby Kath was born in Singen, Germany, and studied information technology at Karlsruhe Institute of Technology (KIT). She launched her career at Hewlett-Packard as a product manager for its CAD systems and later moved to the HP spin-off CoCreate, where she set up and managed support operations. Prior to joining PROSTEP in 2013, she was vice president of technical support at PTC and as such was responsible for worldwide CoCreate product support and for establishing a support network for PTC products. Gaby Kath is married and mother of two sons. In her spare time she likes to ski, cycle and enjoy a good book. Dr. Mario Leber born 1963, returned to PROSTEP in 2016 and is currently working as a senior PLM consultant in the field of PLM strategy and process consulting. A "repeat offender" with over 25 years of experience with PLM projects, he also worked for the company from 1995 until 2001, when among other things he headed up the STEP PDM Implementor Forum. Prior to this, Leber, who comes from Rheydt in North Rhine-Westphalia, studied mechanical engineering at RWTH University in Aachen, where he also earned his doctorate working on product development methods. Leber is married with three children and likes playing volleyball in his spare time. He also enjoys fantasy novels and movies like Avatar and Lord of the Rings. 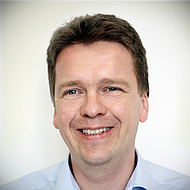 Dr. Norbert Lotter, born in 1965, comes from Amberg in Bavaria and has been working for PROSTEP since 2002, initially as managing director of PROSTEP GIDA and head of OpenDXM development. Lotter, who has a degree in information technology, has headed up the Software Development business unit since 2013 and is thus responsible for the overall management of product development. 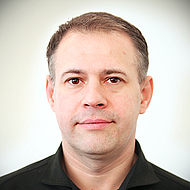 In this capacity, he is also responsible for software development methods, management methods, database systems and blockchain. Like Mario Leber, Lotter is a "repeat offender". This is because he worked for PROSTEP from 1994 to 1998 while doing his doctorate and during this time was involved with STEP standardization and PLM project management. In his spare time, the divorced father of three likes to cycle, do weight training or go swimming. Non-fiction books on history or politics are his favorite reading material. 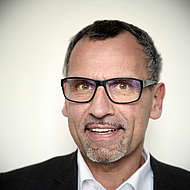 Michael Manderfeld, who was born in 1959, is head of sales for the southwest of Germany and Switzerland and looks after major PROSTEP customers like Kärcher, PORSCHE, VALEO, MAHLE, RECARO and ZF AG. Born in Meschede in North Rhine-Westphalia, Germany, he studied communications engineering at Paderborn University. The passionate rower and golfer joined PROSTEP in 2011. Michael Manderfeld is married, likes to read Nachtgedanken by Marlene Dietrich and enjoys listening to and making music. His favorite song is Fly Me to the Moon, which Frank Sinatra immortalized. 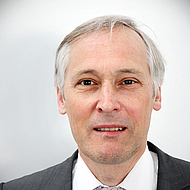 Dr. Bernd Pätzold has been CEO of PROSTEP AG since 1998. 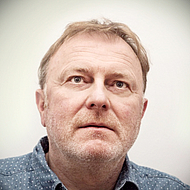 Born in 1958 in Ulm, Germany, he studied industrial engineering at the Karlsruhe Institute of Technology (KIT). As a student trainee, he came into contact with the brand new topic of CAD and PDM and developed an interest that he has never left him. After completing his doctorate, he first worked at Daimler AG, where, among other things, he was heavily involved with initiating the PROSTEP idea in 1991. From 1994 to 1996, he helped set up Daimler's first overseas research and technology center, in Silicon Valley. Bernd Pätzold is married, has two grown children and is a passionate yachtsman. He also enjoys hiking in the summer and skiing in the winter. Quo Vadis PLM or what platform should it be? 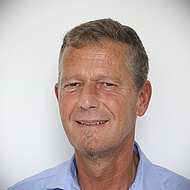 Peter Pfalzgraf, who was born in 1963, has been working at PROSTEP since 1997 and has been head of the Products division since 2012. Prior to that, he was a product and departmental manager. Born in Frankfurt, Germany, Peter Pfalzgraf grew up in the Rhine-Main area. He studied mechanical engineering at what is now Darmstadt Technical University. His favorite sports include football, road biking and skiing. He also enjoys listening to pop music and reading novels - provided that he finds them gripping. 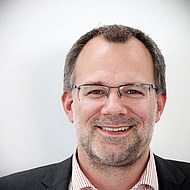 Stefan Rulhoff joined PROSTEP in 2008 and has held a variety of positions at the Competence Center Computer Aided Technology as well as in the 3D PC (Product Creation) and PLM Strategy & Processes divisions. He currently advises and supports customers who want to optimize their business processes with the aid of 3D PDF applications. Stefan Rulhoff was born in 1975 in Neuwied, Germany. He holds a degree in mechanical engineering and is married and father to one child. 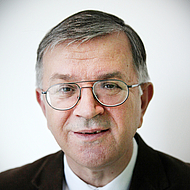 Dr. Josip Stjepandic heads up PROSTEP's 3D PC (Product Creation) division, which also includes the data conversion and transfer service www.opendesc.com. 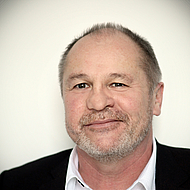 Born in Croatia in 1961, he completed his degree in mechanical engineering in his native country and subsequently earned his doctorate at Graz Technical University in Austria. He joined PROSTEP in 1996, where he managed a number of major projects before becoming a team leader and head of the Competence Center. Josip Stjepandic is married and has three sons, who he regards as his main hobby. Dr. Martin Strietzel was born in 1967 and has been responsible for the PLM Strategy & Processes division at PROSTEP AG since 2015. Dr. Martin Strietzel, Born and raised in Cologne, Germany, he has a degree in mathematics and earned his doctorate researching the simulation of turbulence at the Center for Parallel Computing. 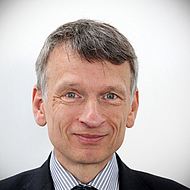 He joined PROSTEP in 2010 as general manager of the branch office in Cologne. Martin Strietzel is married and has two children. In his spare time, he likes to play volleyball and enjoys reading. 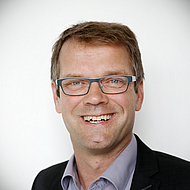 Dr. Karsten Theis has been working at PROSTEP AG since 2002 and was appointed head of sales in 2015. Prior to this, he managed, among other things, the PLM Strategies & Processes division, where he expanded strategy consulting. Karsten Theis was born in Wuppertal, Germany, and grew up in North Rhine-Westphalia. He studied electrical engineering at Dortmund University and obtained a doctorate there researching Automation and Robotics. In his spare time, he likes to ride his mountain bike, often uphill but preferably downhill, and enjoys listening to music – sometimes even hard rock or heavy metal. Karsten Theis is married and has one daughter, who he loves to spoil – although she doesn't see it that way. born in 1973, has worked for PROSTEP since 2005. 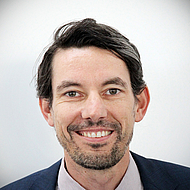 He is deputy head of the PLM business unit and has been responsible for OpenPDM since 2017. 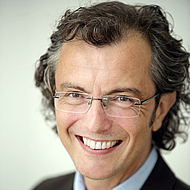 Together with his team, he is responsible for integrating 3DEXPERIENCE from Dassault Systèmes and Windchill from PTC. Theiß was born in Siegen and grew up in the Odenwald. He studied at the Technical University of Darmstadt but not computer integrated design as one would expect but civil engineering, specializing in numerical methods and information technology. The married father of two child is an enthusiastic track and field athlete. In his spare time, he coaches the youth athletes of the track and field team at TV Dieburg. 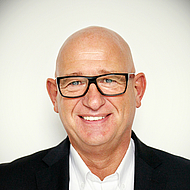 Frank Timmermann, born in 1967, was head of Regional Sales South at PROSTEP from 2000 to 2008 and has been back on board since 2014, currently as senior manager of Regional Sales South/West. In this capacity, he is primarily responsible for Robert Bosch, MAN, Eberspächer, Airbus Süd, PAG, Liebherr, Brose and Webasto, as well as the DXM/GlobalX cluster. 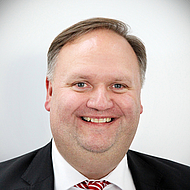 Born in Stuttgart, Germany, Timmermann studied business administration at the Academy of Business and Administration (VWA) in Karlsruhe, Germany, after completing vocational training in business administration. If he hadn't discovered his passion for sales, he would have liked to have become an air traffic controller. Timmermann is married. His favorite sports are tennis and swimming. 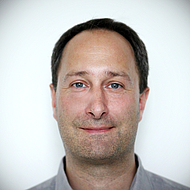 Timo Trautmann, who was born in 1972, is today responsible for 3D PDF Generator. Prior to this, he held a number of PDM and product management-related positions. He studied information technology at Darmstadt Technical University and joined PROSTEP in 2002. Dr. Steven Vettermann is a senior consultant at PROSTEP AG. Prior to this, he served as general manager of the prostep ivip Association. He is PROSTEP AG's project manager in the V&V research project, which is addressing the subject of verification and validation for autonomous driving in the city. He is also the key account manager for the prostep ivip Association's strategic fields Japan and openness. Steven Vettermann was born in 1971 in the Rhein-Main area and studied mechanical engineering at Darmstadt Technical University. He earned his doctorate researching IT security in cross-enterprise PLM. He joined PROSTEP in 2004. Steven Vettermann is married and enjoys doing Bikram yoga and listening to music in his spare time. His favorite band is Guns n' Roses. Michael Wendenburg was born in 1958 and has been working as a freelance writer for PROSTEP for over 10 years. He regularly contributes articles to the newsletter. Following a traineeship and completion of his degree, he discovered his interest in all things relating to digital product development at a publishing house for computer science and technology. Born in the Rhineland, Germany, the father of two has been living in Seville, Spain, for over 20 years. He does however like to spend much of his spare time in the mountains, either hiking or skiing. Daniel Wiegand is a member of the project management team and is responsible for the OpenDXM product family. He also advises major customers on product exchange projects. He is a Darmstadt native: he was born in the city in 1970, grew up here, and gained a degree in mechanical engineering from Darmstadt Technical University. He arrived at PROSTEP in 1994 as a student trainee and was hired in 1998 as a supply chain communication consultant. The sports enthusiast, whose favorite sports are basketball and triathlon, is the father of three daughters. Peter Wittkop, b. 1970, has worked for PROSTEP since 2013. 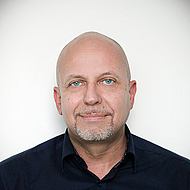 As Lead Expert, he is currently responsible for the professional management of PLM strategy consulting. Wittkop is a true native: Born in Darmstadt and raised in the Odenwald, he studied general mechanical engineering at the Technical University of Darmstadt. In his free time, the married father of two loves to exercise; cycling, running, swimming, and hiking or skiing in the mountains are his favorite sports.